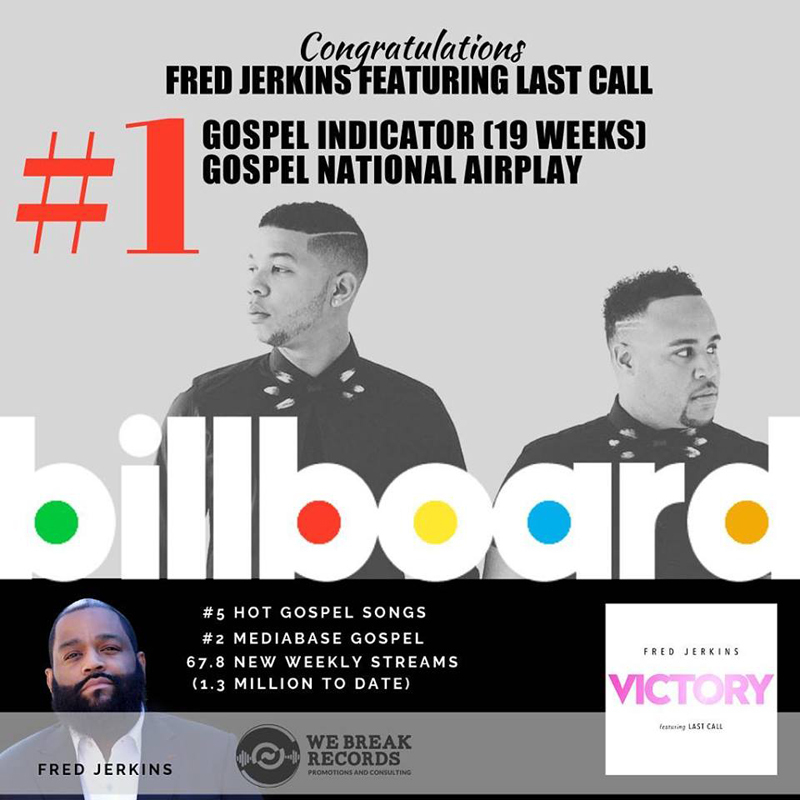 The hit song ‘Victory’ by Fred Jerkins and Bermudian group Last Call has claimed the number one spot on the Billboard Gospel Airplay Chart, while also enjoying its 19th consecutive week on the Billboard Gospel Indicator Chart. “Let me give you some details that makes this so special to me. Last June, I started a radio promotion company [We Break Records] with ‘Victory’ being the very first record I would work. I said I, because I had to learn and establish things the right way on my own first, so I put the time in [at least 12 hours a day]. Also flying across the country as well as @srjerkins and hitting the road to visit stations in different states. Anybody who knows me knows I go hard and work like no other. Anyway, God honored my hard work and faith in Him as he always does. “The crazy thing about this is @lastcallworship lives in Bermuda and were here with me all week doing a radio tour and leave tomorrow to return home. So God orchestrated this thing so they would be with me for this incredible time for both of us. That is mind blowing to me. In an online post, Last Call said, “Today is a good day. 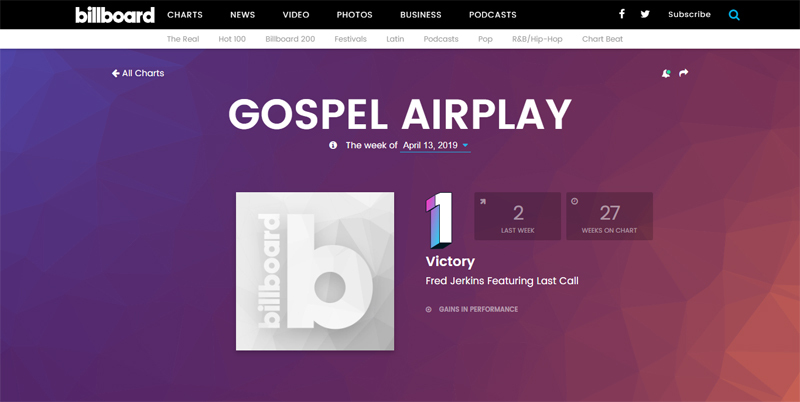 We just found out that we reached number one on the Billboard National Gospel Chart. “To @apostle_veryl_howard1 AKA manager of the year; there aren’t enough words to describe how blessed we are to have you in our lives to lead our careers and teach us on the things of this crazy industry. We look forward to the many more adventures we will take together.